Dark Grey, Gold, Green, Dark Red and Blue. Available in Natural White or various Hand dyed colors. *Dye lot colors may vary, slight color imperfections may be present (due to uneven color absorption). 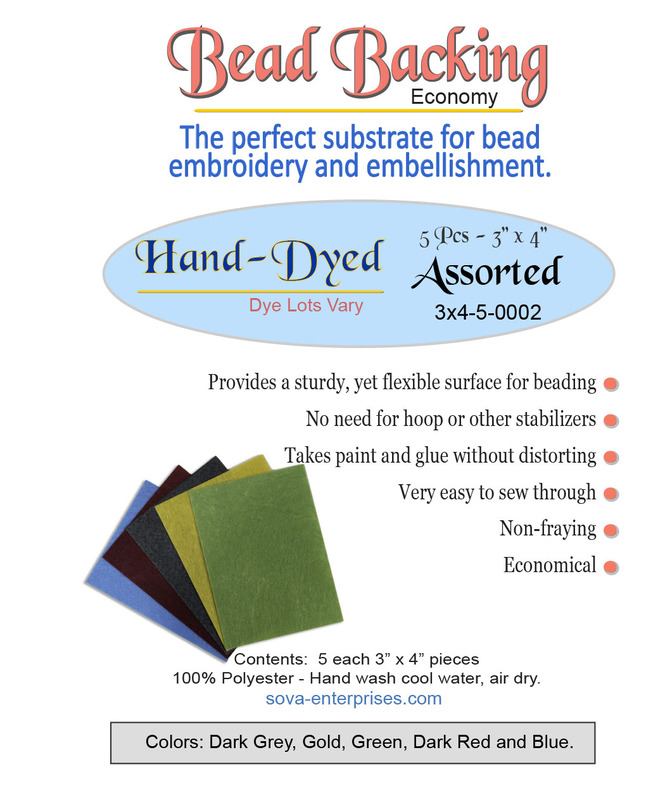 The perfect substrate for bead embroidery, embellishment, Shibori, Quillwork, Applique, other craft projects. 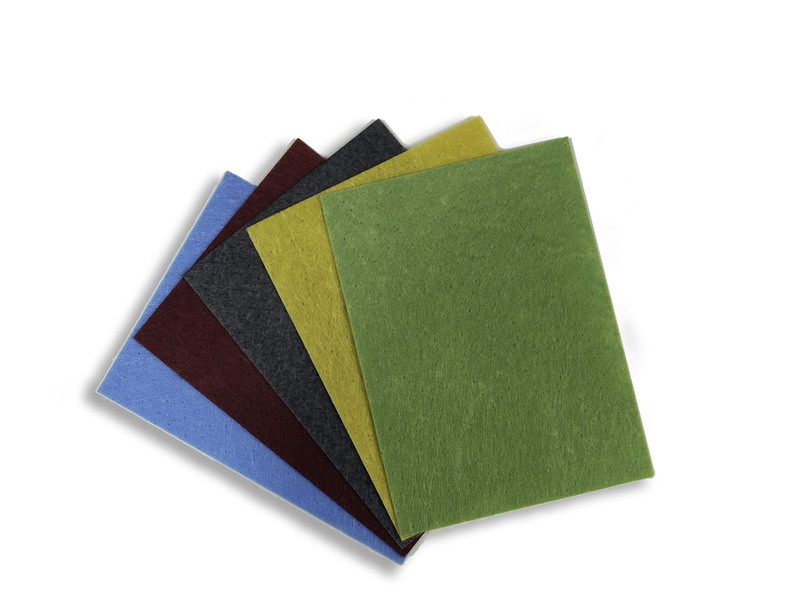 Provides a sturdy, yet flexible surface. No need for hoop or other stabilizers. Takes paint and glue without distorting. Very easy to sew through. Gluing Tip: Apply E-6000 adhesive to the back of a cabochon, then place onto backing (Stiff Stuff), allow to dry for at least 20 minutes. Take care to get the glue/cement all the way to the edge (not past the edge) of the cabochon/object. 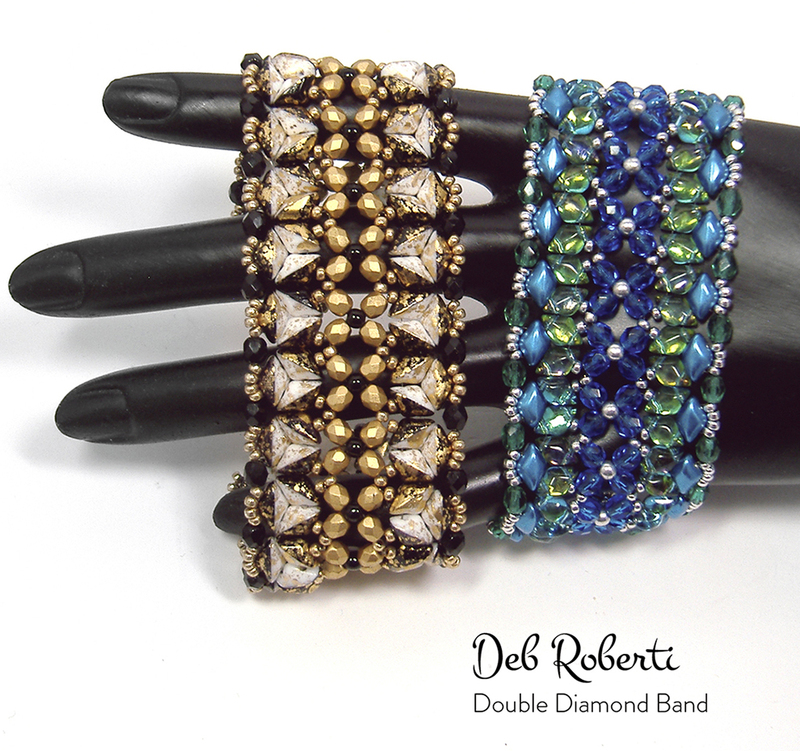 E6000 Glue, Bond 527, and GS Hypo Cement are are good for attaching cabochons (many objects) to Bead Backing.